خدمة جديدة اضيفت اليوم لبرنامج التداول وهي عبارة عن ستوب لوز متحرك تحدده بعدد نقاط . 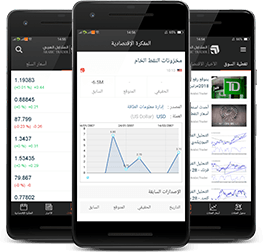 اذا اشتريت استرليني \ دولار بسعر 1.8241 ووضعت ستوب لوز على 1.8231 مع الستوب المتحرك على 50 نقطة فانه اذا ارتفع السعر الى 1.8291 يرتفع الستوب لوز اتوماتيكيا الى 1.8281 مما يحفظ لك ربح 40 نقطة ومن ثم يرتفع كل ما ارتفع السعر 50 نقطة . FXCM announces the addition of an Automatic Trailing Stop feature to the FX Trading Station! Both live and demo accounts can now set a stop-loss order that will electronically adjust itself as the market rate moves in the direction of your open position. When setting a Stop-Loss order, you will now see an Advanced button. Clicking on that button brings up our new Trailing Stop feature. First check the box labeled Trailing Stop. Then you can enter the number of pips that you would like your stop-loss order to trail behind the current market rate. The stop-loss order will move up in increments of the pip value that you place in the Rate Min.Move field. لكن كفيت ووفيت وأي احد من الاخوة عنده استفسار ترانا حاضرين.